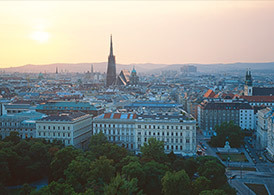 Your time in Vienna: let us help you make the most of it! You’re in Vienna on holiday, or on business? 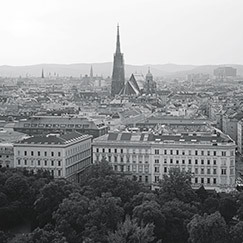 You’ve been living in Vienna and want to learn new things about your city? We are a group of enthusiastic, knowledgeable and highly-qualified tour guides and we would like to share our love for Vienna with you. We bring great history to life, and also care about the small, surprising details. 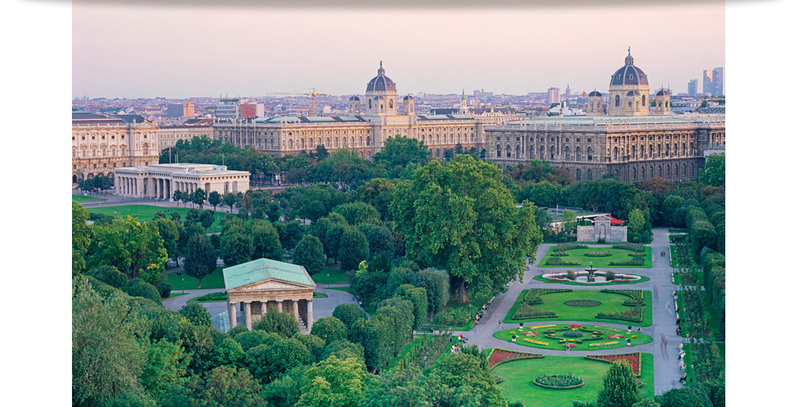 Let us show you famous places and secret hidden corners – in Vienna and throughout Austria. Our tours are held in English and German – simply choose from our exclusive program, or contact us directly with your specific wishes. Is this your first visit to Vienna? If so, welcome! We’ll show you the highlights and entertain you with stories and anecdotes on this varied tour of the old town. 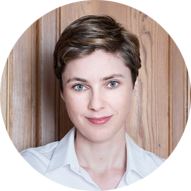 Where did the ruling Habsburg family live? 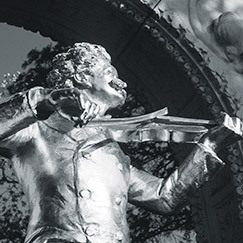 Where did musicians like Mozart and Beethoven perform? Where can you still find traditional shops and fantastic pastries? 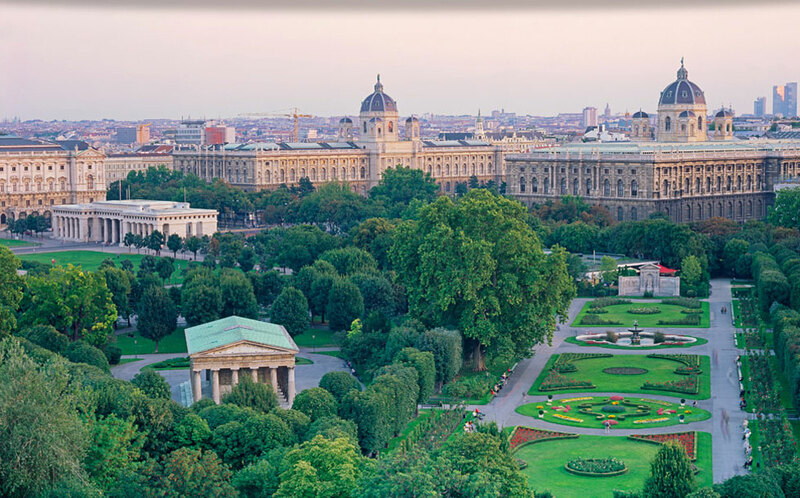 Come with us on your first walking tour to explore Vienna from the Opera to the Hofburg Palace and St. Stephen’s Cathedral. Fascinating architectural collection of epic proportions: discover more historical and cultural treasures than on any other boulevard in Europe. From imperial power and impotence, from Viennese aristocracy and its elegance, from the success and scandals of the most famous architects and wealthiest bankers, the elegant salons of their sophisticated wives: buildings that showcase the history of rapid growth during Vienna’s Ringstrasse era. A fascinating walk along the Ring, from the State Opera to the University. Right in the centre of Vienna, just a stone’s throw away, you can still find quiet courtyards and parks shaded by trees. Cobblestone lanes and medieval houses tell of stories and legends from hundreds of years ago. We lead you through the oldest part of the city, away from the bustling shopping streets. 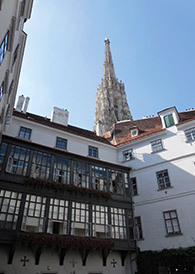 Already in medieval times, Vienna had one of the most significant Jewish communities in Europe. Unfortunately, persecutions and atrocities also began during this period. 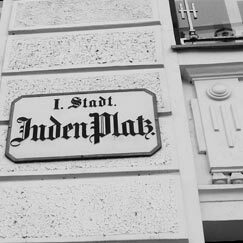 From 1900 the emerging Jewish bourgeoisie left a lasting mark on the city, playing a vital part in Vienna’s enormous intellectual, scientific and artistic reputation. The "Shoah" triggered the darkest chapter in this history, and Jewish life was almost completely extinguished. 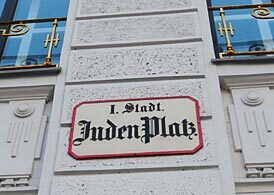 We will show you where Vienna’s Jewish community lived and prayed, get to know important personalities, visit monuments and places of remembrance, and learn about Jewish life in today’s Vienna. 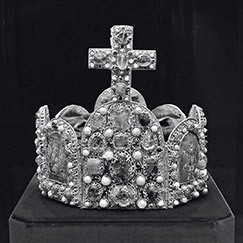 For more than 600 years, the Habsburg family dominated an enormous empire, and Vienna was their main residence. 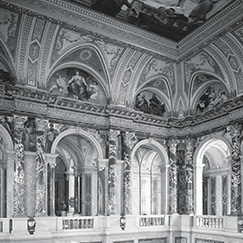 The Hofburg Palace invites us to get to know its owners, and to learn more about the public and private successes and failures in the lives of former emperors and empresses. 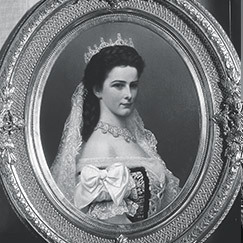 In the imperial apartments, the time of Emperor Franz Joseph and Sisi comes alive with original furniture, paintings and other artefacts. For centuries, the Habsburgs helped shape and determine the fate of Europe. 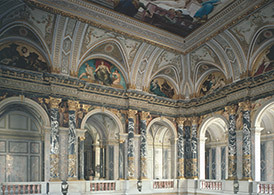 With their main residence in Vienna, they left traces of their rule throughout the city, and the Hofburg Palace was the centre of their power. 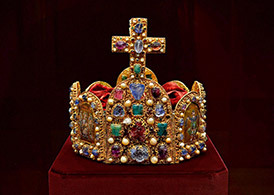 The crown of the Holy Roman Empire as well as the crown of the Austrian Empire are exhibited in the Treasury. In addition, the world’s largest emerald is on display, along with many other extraordinary works of art. Why eight jewels, why blue stones? 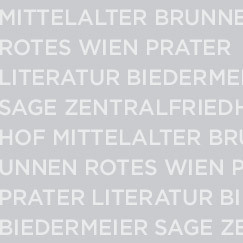 We share with you the secret meaning of the numbers and colours, how the Burgundy treasure came to Vienna, and much more. Look behind the myth of the palace and its inhabitants. 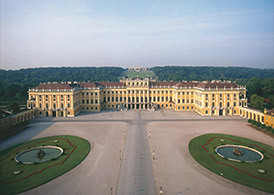 How did the Habsburgs live in their summer residence? What were their interests, talents and weaknesses? 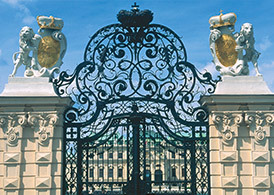 Join us on a tour following in the footsteps of Maria Theresia and her descendants. Prince Eugen was a Frenchman of Italian descent who made his stratospheric career in Austria by defeating the Ottomans. He retook Hungary and the East for the Habsburgs. His incredible skill and luck in battle made him extremely wealthy. 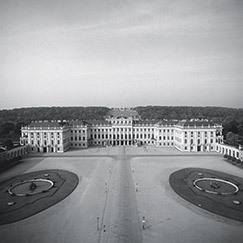 Both a successful military leader and at the same time a philanthropist and collector of books, he built an extraordinary palace - Belvedere - which impresses not only with its baroque architecture and exquisite gardens but also its unique gallery of Austrian artists from various periods. Masterpieces from Klimt, Schiele and Kokoschka, as well as painters from the Biedermeier period, will leave you breathless. 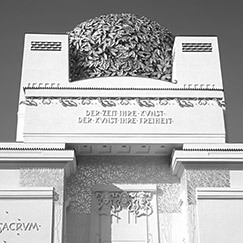 "To every age its art, to every art its freedom" was the motto of the Viennese Secessionist movement. The dawn of modernism in Vienna around 1900 brought into being new forms and new ways of expression in architecture and the visual arts. 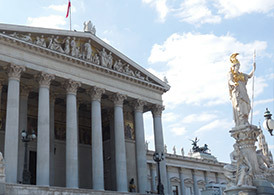 On this walking tour you will marvel at a Viennese combination of aesthetics and functionalism which marked the beginning of the end of the Ringstrasse era. 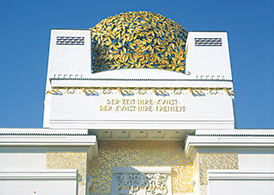 The tour begins at Otto Wagner’s station buildings on Karlsplatz, and goes via the Viennese Secession museum, which houses Klimt’s famous Beethoven frieze, and the Palmenhaus in the Burggarten to the Anker Clock at the Hoher Markt square. 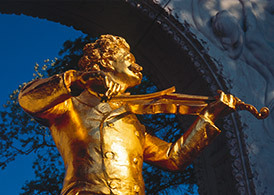 Haydn, Mozart, Beethoven, Schubert and many more turned Vienna into the capital of music. Where did they live in Vienna? How did they live? 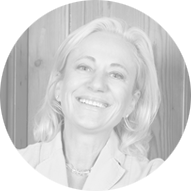 What inspired them and where can we meet them today? 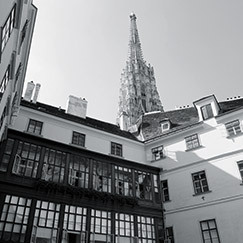 Come with us on a journey of discovery where we follow in the footsteps of music in Vienna. It is not easy to have a beautiful funeral; it takes hard work and study. 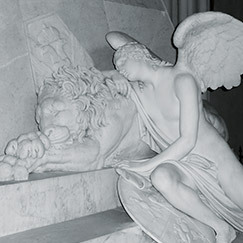 Vienna is one of the places where the burial ritual has enormous value in society. Even Emperor Joseph II. was forced to back down when he wanted to use a reusable coffin to economise on expenses. Follow us to Vienna’s cemeteries and crypts, and take a closer look at the places where people go when they leave this world behind. The Kunsthistorische Museum (Museum of Art History) contains one of the world’s leading art collections, including masterpieces by Titian and Bruegel, Dürer and Rubens. Furthermore, in the “Chamber of Arts” you can view extraordinary achievements of ornate artistic craftwork and engineering as well as wondrous exquisite items believed to hold mystical powers. 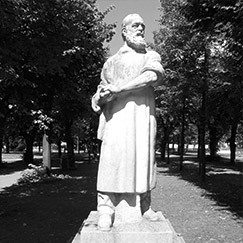 From the discoverer of blood groups, Karl Landsteiner, to the revealer of our souls, Sigmund Freud: many world-class doctors and Nobel Prize winners have researched, taught and practised in Vienna. 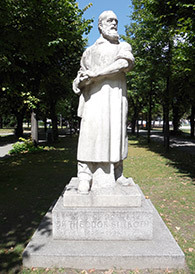 The first (18th century) and the second (19th century) medical schools of Vienna housed quantum leaps in medicine. Innovative treatment methods which are still used today were discovered, and even some obscure ones were invented – but luckily we don’t use them anymore! Let’s take a journey through time and follow the traces of these important physicians. 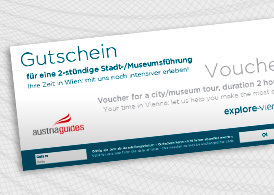 Voucher für a city/museum tour, duration 2 hours (220 EUR). Valid for one year from the date of issue - the voucher cannot be exchanged for cash. 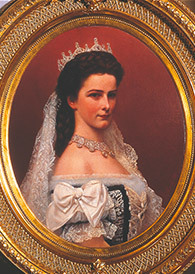 Rubens to Makart - Liechtenstein. 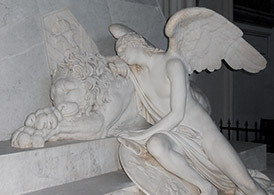 Vienna. A City Reflected in Literature. Master’s degree in political science, German language and literature. After many years as an international project and programme manager, I turned my fascination for Vienna into my profession and I share my knowledge of and enthusiasm for my hometown with tourists and residents on inspiring tours through this unique city. My special interests are Austrian and European history and literature. Many years in the US, Belgium, Portugal and Brazil have sharpened my eye for the typical Austrian way of life, for the unique and special attractions of my native Austria. Come with me to the oldest part of town, parks, palaces and museums. 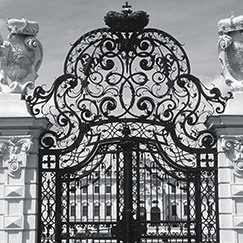 I will tell you about treacherous policy and great love, high art and moving ideas, exquisite cuisine and Viennese wine. Together we will get to know and enjoy Mozart, Sisi, Klimt, chocolate cake, coffee with whipped cream and dry Austrian white wine. In addition to German and English I also guide in Portuguese. 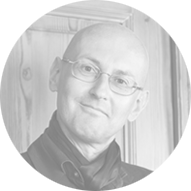 I’ve turned my interests in history, culture and art into my profession; what an exciting idea! 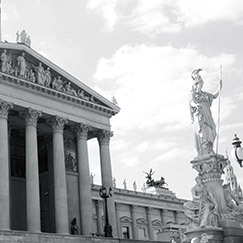 Vienna has always been fascinating to me, and I love sharing my enthusiasm with my guests.